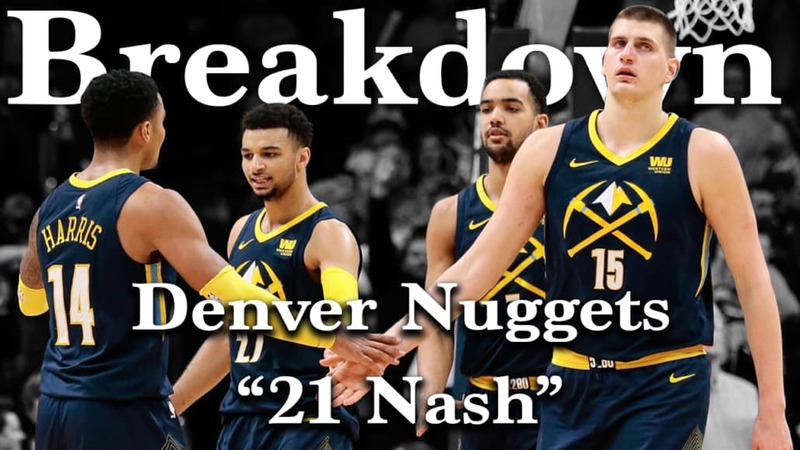 After time out against the Oklahoma City Thunder the Denver Nuggets ran a ballscreen set to get Plumlee a dunk off single tag action. The set is simple in execution but tough to guard defensively. Jamal Murray passed to Will Barton on the wing and then set a double ballscreen with Plumlee for Barton on the wing. 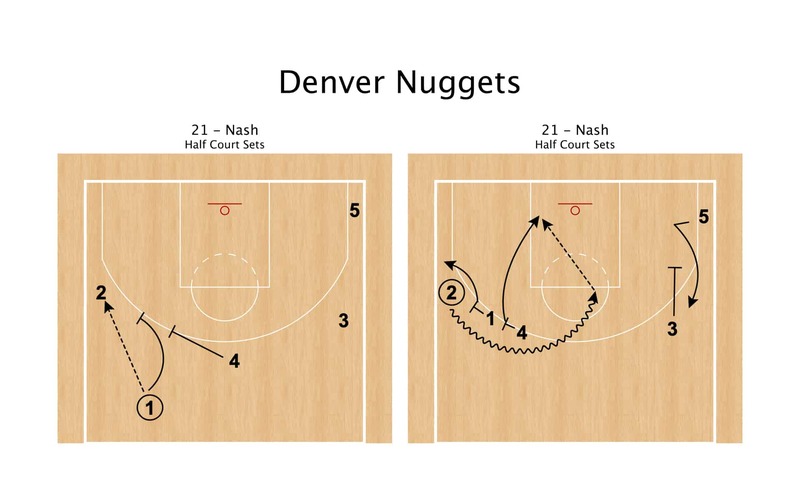 At the same time on the weakside Malik Beasley set a pindown screen for Jokic to pull Steven Adams away from the rim. The read after this is simple, whatever Jamal Murray’s defender does you pass to the opposite – if he helps on Plumlee then you pass to Murray for a 3 or if he stays on Murray then you hit Plumlee on the lob.